A possible structure of the Libyan national unity government reflects the geographical and political features of the country, Head of the United Nations Support Mission in Libya (UNSMIL) Bernardino Leon said. MOSCOW (Sputnik) — Late on Thursday, UNSMIL proposed a list of candidates for the Libyan Government of National Accord. "The prime minister proposed is Mr. Fayez Sarraj. He’s an MP at the House of Rerpestenateie from Tripoli. It is proposed as the three deputy prime ministers: Mr. Ahmed Meitig, Mr. Fathi Mejbari and Mr. Musa Kuni. One of them from the west, one from the east and one from the south," Leon was quoted as saying in the UNSMIL press release. 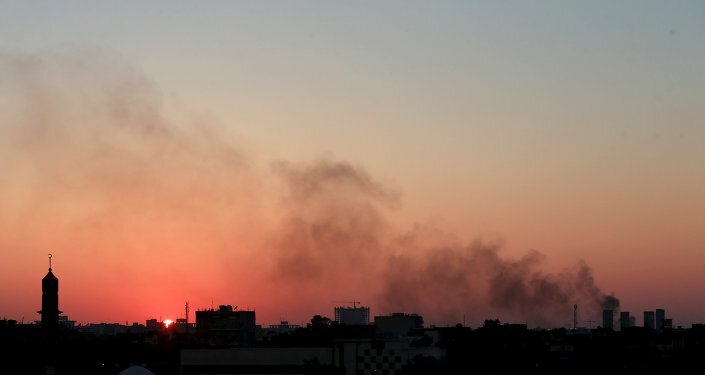 Libya has been in a state of turmoil since early 2011 after the so-called Arab Spring protests led to a civil war and the overthrow of long-time leader Muammar Gaddafi. The country has been split into two rival governments: the internationally recognized Council of Deputies based in Tobruk and the self-proclaimed General National Congress based in the capital city of Tripoli. In early July, political parties and the internationally recognized parliament of Libya signed a framework agreement in the Moroccan city of Skhirat, distributing powers in the country. The government candidates proposed by the United Nations must be approved by both rivaling governments in Libya.